It's Children's Book Week! In celebration of all things children's literature, I am featuring children's books at my library branch and participating in this giveaway hop. As always, I am grateful to our wonderful hosts: KidLitFrenzy, Classic Children's Books, Mymcbooks, and the extraordinary Kathy @ I Am a Reader, Not a Writer! Children's Book Week is the national celebration of books and reading for youth. 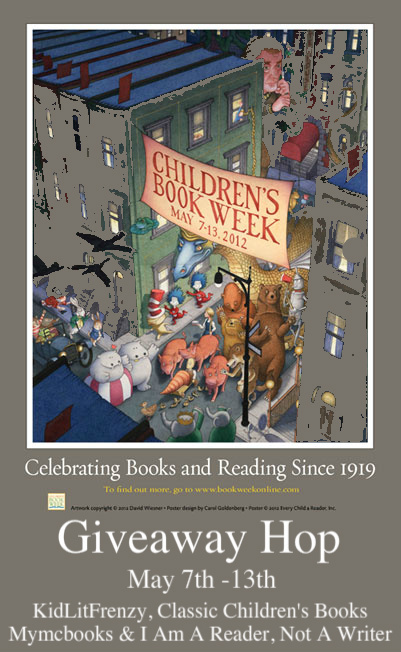 Administered by Every Child A Reader and sponsored by the Children's Book Council, Children's Book Week celebrates the transformative power of literacy. This information was gathered from Children's Book Week's Website, which you can visit for more about the history and various events occuring this year. I did not stay with those books long as a small child, as my over-active brain needed more advanced reading. While I was at that stage, my favorite books were the Serendipity books by Stephen Cosgrove, which had beautiful illustrations by Robin James and lovely morality lessons. When I would get done reading the books, I would have to draw the illustrations. (Maybe they played a role in my great love of art!) I had the full collection when I was a child, but I sadly lost them all in a flood back in the 1990s. I have managed to acquire probably 60% of the series, but, unfortunately, many are out of print and quite expensive in good condition. It will be done, though. If you are interested in learning more about the series in general, Stephen Cosgrove has the entire catalog listed on his website. 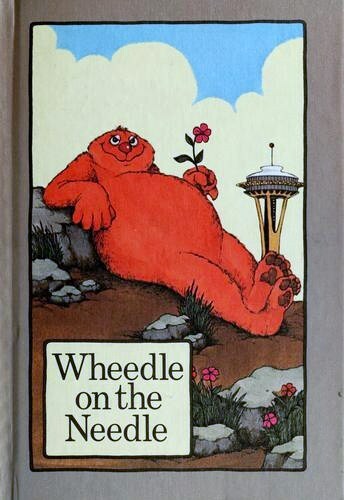 One of my favorites in the series is Wheedle on the Needle. I have no idea what it was about that big, orange creature, but I fell madly and head-over-heels in love with him. Wheedle is a very grumpy sasquatch, and with Seattle’s growth, finding a quiet place to sleep is close to impossible. When he heads for the top of the Space Needle and unleashes a never-ending rainfall, everyone stays indoors, and the city is quiet once again. Now, it's the Seattleites who are grumpy  who wants to stay inside all the time? Is there a solution that makes everyone happy? A national bestseller, this beloved picture book had much of its Seattle-centric storyline stripped from later editions. This glorious hardcover keepsake edition brings back the book’s original charm, inviting a new generation of readers to delight in the Wheedle’s adventures. Since I have subjected you to my long ramblings about children's books, Stephen Cosgrove, Serendipity, and other nonsense leaking from my brain, I suppose I should get to the GIVEAWAY portion of this post. I am offering up a copy of Wheedle on the Needle or any other children's book that you are interested in for less than $12US (though I hope you choose Wheedle or another book in the series). Can I enter to win a book for my kids?? They would be tickled to win a book in the mail. Thanks for the giveaway! When my middle grader loves a book, he always insists I read it too! Love you...you are so funny! Never heard of this series, looks darling! i completely forgot about the serendipity books! i loved those growing up and still think about the wheedle on the needle when i see the lights flashing on the tops of buildings at night : ) so glad you reminded me about them! I need to look for my collection! Awesome contest! And can you believe I've never heard of this book?